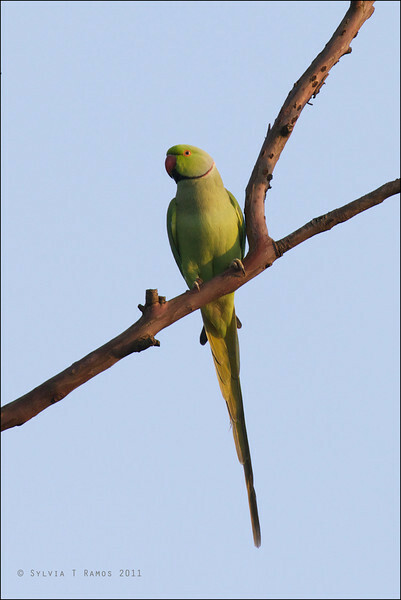 This is a parakeet that is popular as a pet. The small flock of at least 6 birds that lives in the golf course are most likely escapes. Or perhaps some pet-owner released them. We also think its possible that they are breeding because they showed breeding behavior. It's blends into the leaves of the trees very well. Its feathers are leaf-green and its feet are branch-brown!